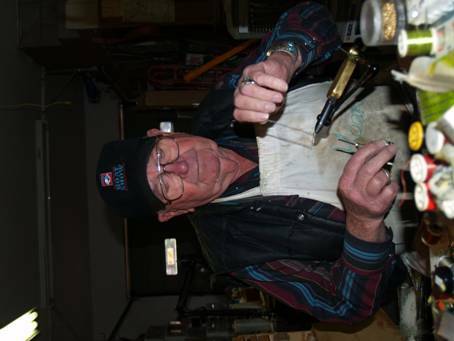 THE FLY-TIER -- Lon Ellington, Pinetop, Ariz., started tying flies 50+ years ago. He also has been building rods for 35 years. Ellington is a legend, having tied flies and built rods for customers all over the world.